 Partnerships with Existing Practices - USPh - U.S. Physical Therapy, Inc.
You’ve built a great Physical Therapy practice, and now you can capitalize on your success and still stay in the game through a partnership with U.S. Physical Therapy. We’ll pay you handsomely for a percentage of your business. You’ll continue to be an owner. You’ll still be in charge. You’ll receive a salary plus you get your share of the future profits. ”Our primary goal was to identify a partner who would allow us to run our business as we always have. That’s no easy feat in today’s environment where private equity groups are consolidating the field. We felt, and still feel, that the consolidation in physical therapy was profit driven, not patient driven. That’s not the path we wanted to take. You’ve built a business that has value. You’ve spent a great deal of time and money to do this – perhaps to the exclusion of other investments. Diversify! We pay a multiple of your company’s earnings, in cash, to acquire a majority interest in the practice. U.S. Physical Therapy has been around for over 29 years. We operate over 590 clinics in 42 states – all in partnership with therapists. The company is publicly held, and the majority of USPh’s senior management team members are clinicians – we understand the business and what it takes to be successful. “STAR Physical Therapy is a relationship and service driven company. Focusing on quality and service has allowed us to develop great bonds with our patients, physician referral sources, and staff and we strive to be an integral part of the healthcare community of the cities and towns where we operate. For more information on our partnership model for existing practices, please call 800-580-6285 or submit a request for information using the form on this page.